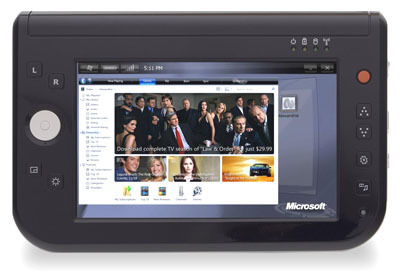 Tomorrow Microsoft will reveal a new tablet PC to the world which they refer to as an Ultra Mobile PC (UMPC). Dubbed the Origami Project, it is a joint effort between Microsoft, Intel and various other manufacturers. There has been a large teaser campaign going on for the past few weeks with the Origami Project web site not revealing much information about the product at all. The device runs a special version of Windows XP like Windows CE. It is believed to have extremely low power consumption. The initial devices may struggle, but it is hoped future versions of the tablet will produce more than 12 hours of battery life. The Origami is not designed to be a portable game platform, but no doubt it is capable of playing low-end games. It is more a hybrid of business function and portable media entertainment. 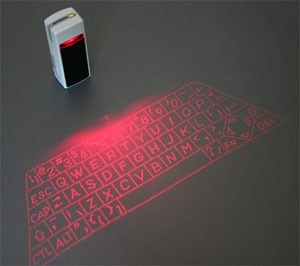 The first unit does not have a keyboard but may feature an iTech virtual keyboard. This keyboard is very fancy indeed. It’s been around for a while but iTech seems to only be gaining momentum with it’s marketing in recent times. Video of the iTech virtual keyboard in action (click on the first picture in the link). This entry was posted on Wednesday, March 8th, 2006 at 5:55 pm	and is filed under Marketing, Hardware. You can follow any responses to this entry through the RSS 2.0 feed. You can leave a response, or trackback from your own site. Some more video of Ultra Portable PCs..
Official Intel video of UMPCs..
That is definately one of the best blogs I’ve sen in ages online. mygrzy. That is definately one of the best blogs I’ve sen in ages online. [url=http://www.mygrzy.com][b]mygrzy[/b][/url].